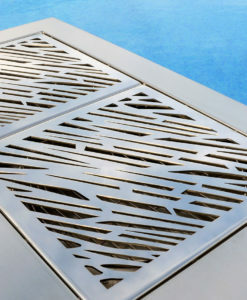 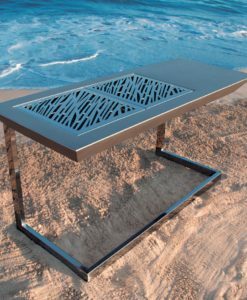 The Garden Ease Yacht Grill was specifically designed for one of our clients who loved the concept to use on his private mega yacht. 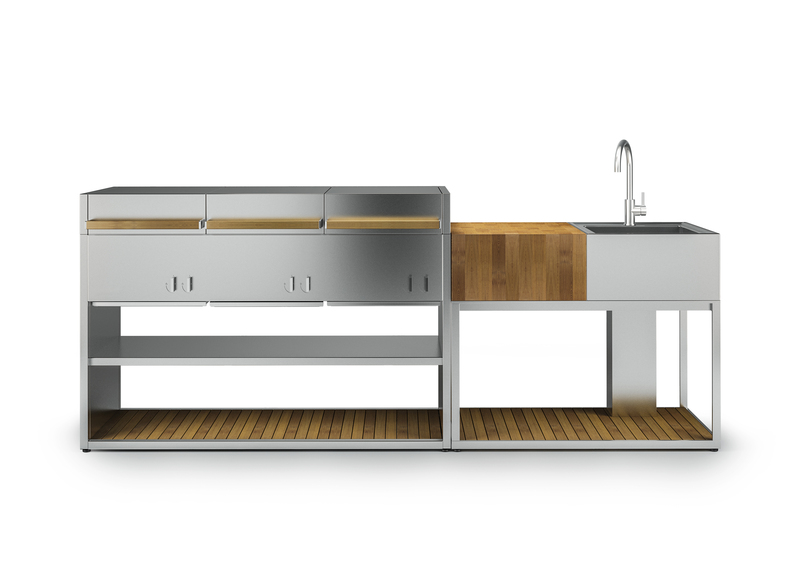 In need of guaranteed durability and corrosion resistance on sea waters, 316 marine grade stainless steel was the perfect choice along with our Grade A Teak. Here, the Yacht series was born. 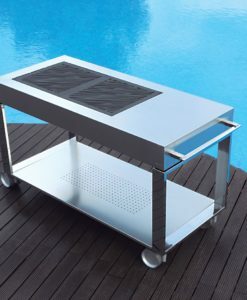 This sleek modern design is both elegant yet strong and efficient to survive any unfavorable weather. 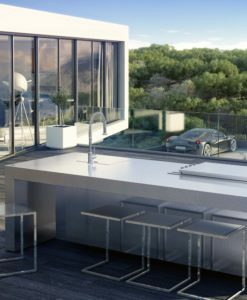 Combine with our Garden Ease outdoor shower, bar-cart, chaise loungers, daybed, sofa seating, dining, bar, planters for the ultimate modern dream home! 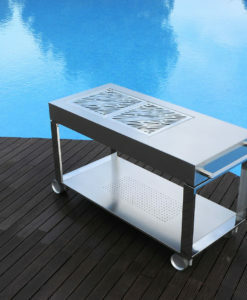 The garden ease yacht grill is an aspiring outdoor furniture for enjoying beautiful moments. 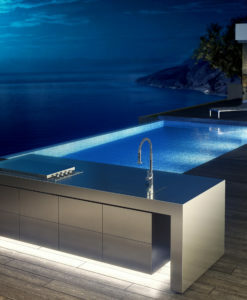 Additionally, this collection is perfect for modern high end designing as it exudes the aura of a jet setter. 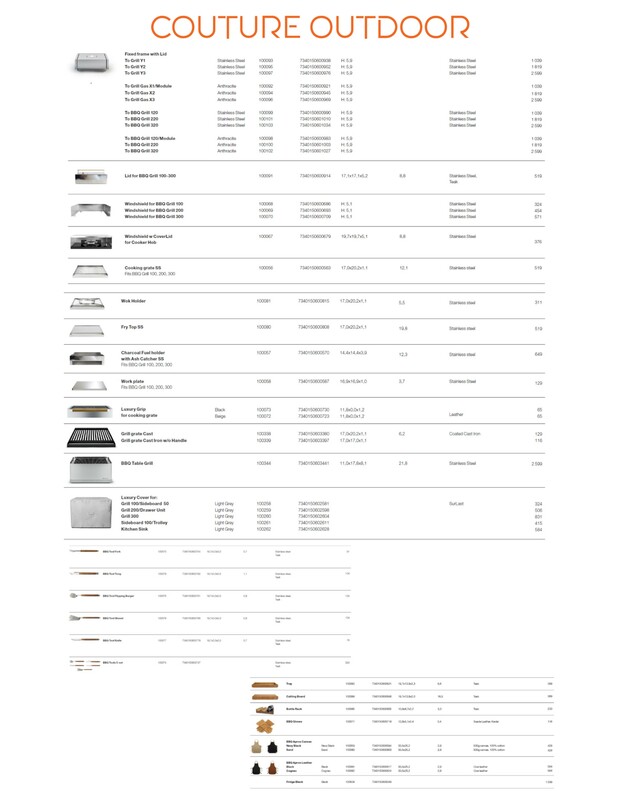 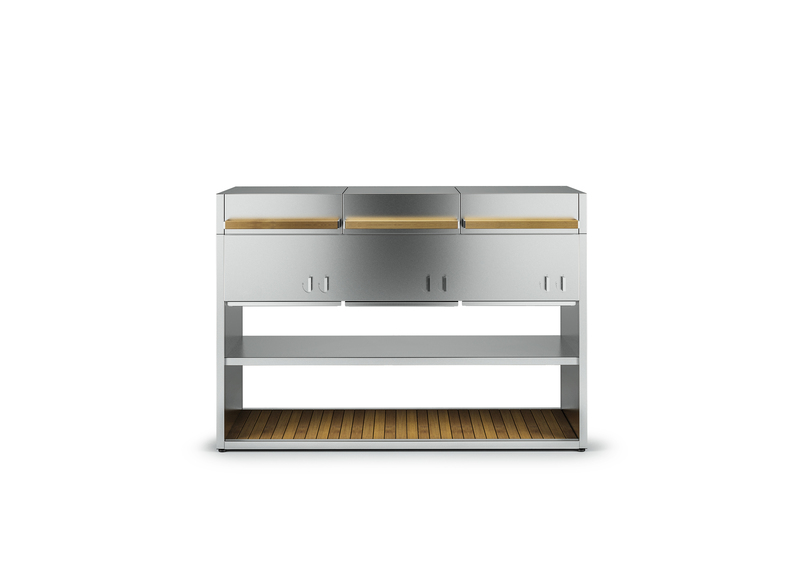 Furthermore, the design is distinguished by its generous size, slim lines and evident form. 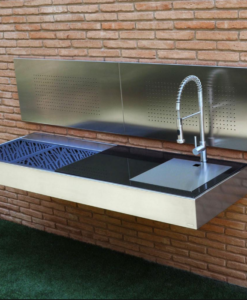 Luxurious yet still very laid back, it is ideal for outdoor use as it provides a form of high quality materials and durability. 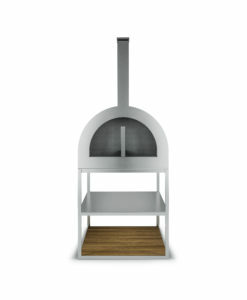 It has a modern design while still having a classic feel. 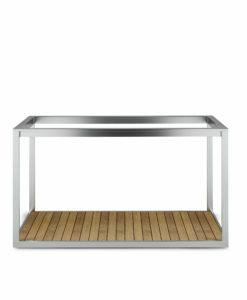 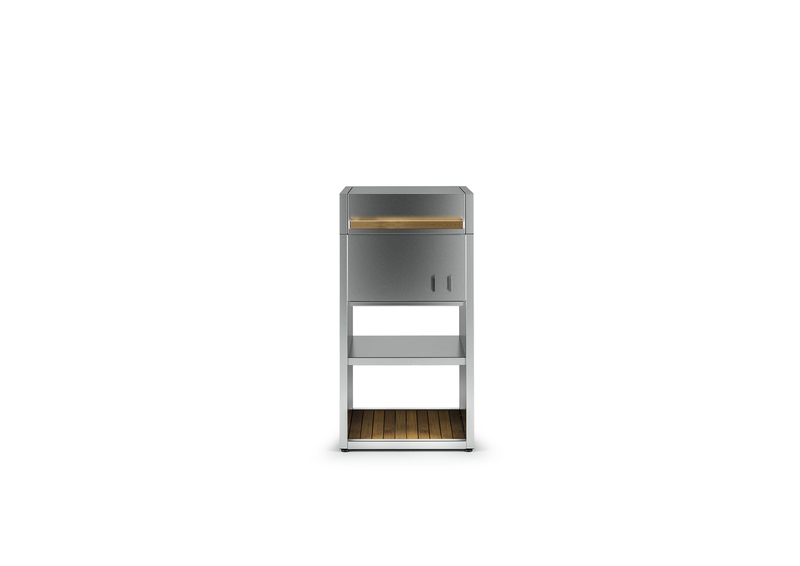 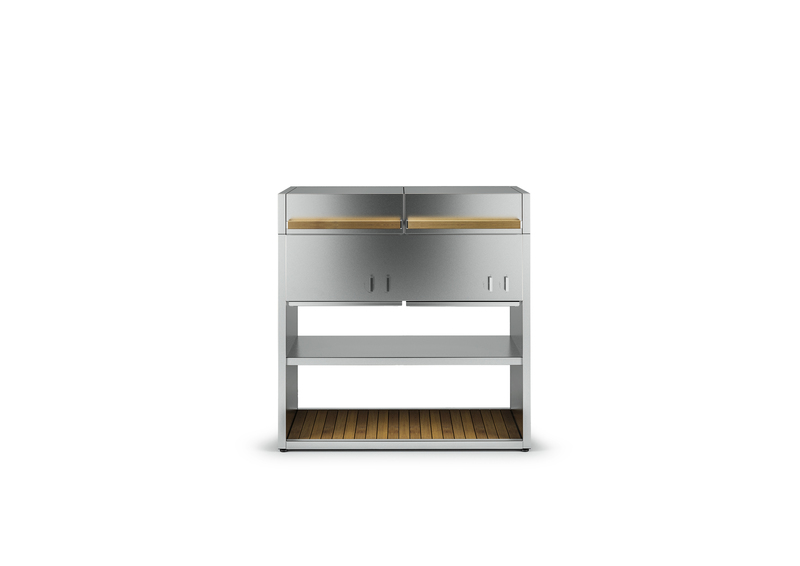 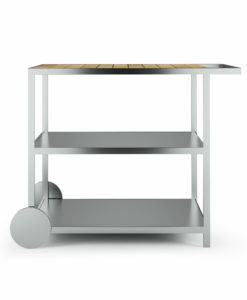 Immaculate for storage area as well as workspace for your outdoor cooking. 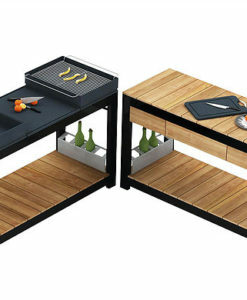 It is also an elegant way to serve your meals in a stylish manner. 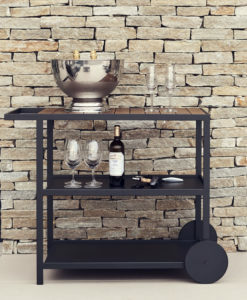 Also, a club chair, two and three seater sofas, chaise loungers, bar cart, outdoor shower and towel rack completes this collection. 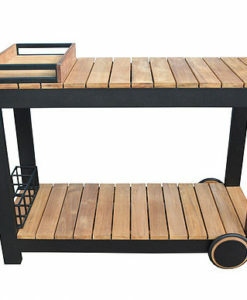 Which is available in black powder coated aluminum with sleek teak details and comfy outdoor cushions. 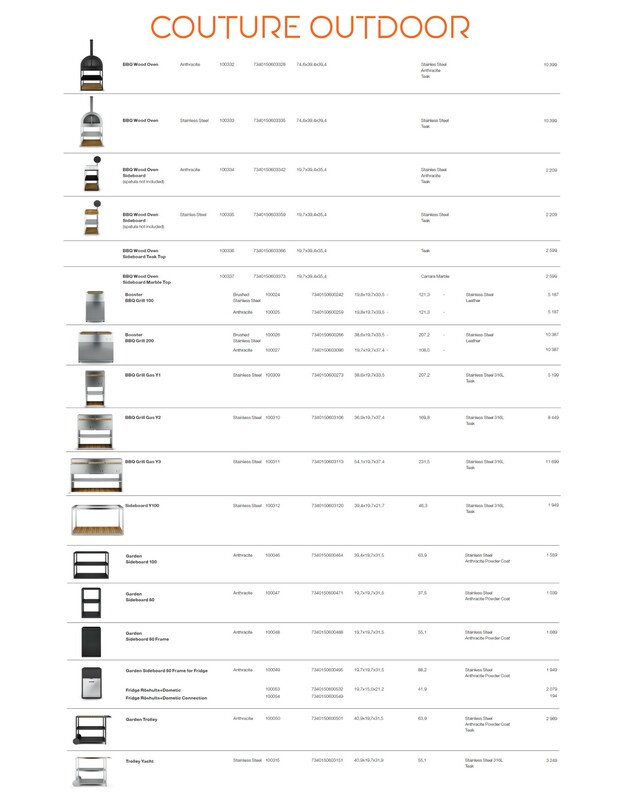 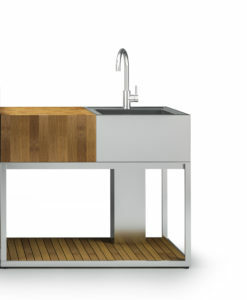 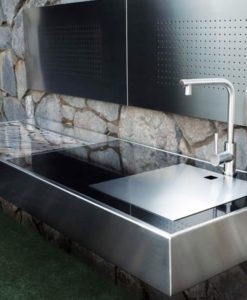 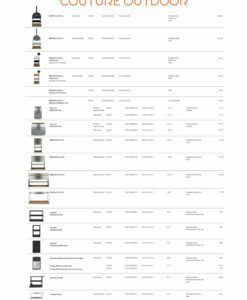 Revolutionizing today’s modern home with sleek modular outdoor kitchens and grills. 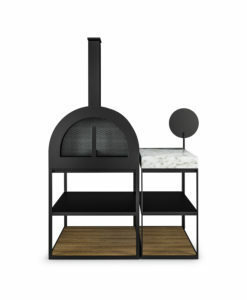 Choose your customized combination of charcoal and gas (1,2 & 3 burners), pizza oven, sink, prep counters and storage shelves and our Sonic Boom grill using bass speakers to control charcoal temp.